Global warming is recognized as one of the most challenging problems for sustainable environment, particularly in the Asian region. To counter this challenge the Asian countries are expected to pursue for the sustainable society. Under these circumstances Indian Institute of Technology Delhi (IIT-D), SEE Forum, and Kyoto University Global COE Program co-hosted an International Conference titled Renewable Energy Asia 2008 and 4th SEE Forum Meeting in New Delhi, India, during December 11-13, 2008. Fig. 5-1. 4th SEE Forum meeting at New Delhi, India. Graduate School of Energy Science, Institute of Advanced Energy (IAE), Department of Nuclear Engineering, and Research Reactor Institute (RRI) jointly organized the Kick-off Symposium of “the Global COE Program of Energy Science in the Age of Global Warming – Toward CO2 Zero-emission Energy System – “ , during 28-29 January 2009, at Kyoto University Clock Tower Centennial Hall. The chairman, Prof. Satoshi Konishi (IAE) declared the symposium opening. At first, Prof. Takeshi Yao (G-COE leader) gave an opening address. Following this, Prof. Hiroshi Matsumoto (President of Kyoto University), Mr. Hiroshi Yoshimoto (Director, MEXT), Dr. Kenkichi Hirose (Senior Executive Director, JST), Dr. Takashi Murata (Vice Director, RIKEN Kobe Institute), and Prof. Yoshikazu Nishikawa (President, RIAS) made opening addresses. In the afternoon session, with paying attention to the human- resource management and international relationships toward CO2 Zero-emission society, Mr. Shinichi Akaike (Director, MEXT) introduced the “Policy for Science & Technology and its Diplomacy in Japan”, and Prof. Hideaki Ohgaki (IAE) presented the G-COE activities of international cooperation. Based on this information, the moderator, Prof. Keiichi N. Ishihara, invited 4 distinguished commentators, Dr. Shuji Tamura (Senior Executive Director, IDES), Mr. Nonilo A. Pena (Chairman of ASEAN COST sub-committee), Dr. Shigeru Sudo (Vice President, NIFS) and Dr. Akira Kawahara (Former President, AESJ) to encourage the G-COE program. Following this, Prof. Yuzuru Matsuoka (Leader, G-COE program of Human Security Engineering for Asian Megacities), Prof. Shigeo Fujii (Leader, Global Environment Leader Program), Prof. Hideo Nagashima (Leader, Kyushu University G-COE Program, Novel Carbon Resource Science), Dr. Kazuyuki Yagi (senior researcher, NIAES), and Kaoru Sugihara (Leader, G-COE program in search of Sustainable Humanosphere in Asia and Africa), introduced their research activities and programs. Poster session (64 posters) was also took place by G-COE students. After that, reception party was organized and coordinated by Prof. Yoshiaki Kunugi. On 29th January, technical sessions by G-COE research clusters were held. Researching and Planning Zero CO2 Emission Scenarios (RPZCES, headed by Prof. Keiichi N. Ishihara) and four Advanced Research Clusters (ARCs, headed by Prof. Seiji Ikkatai in Energy Socio-Economics, Prof. Takashi Morii in Solar Energy, Prof. Shiro Saka in Biomass Energy and Prof. Ken Nakajima in Advanced Nuclear Energy) organized the technical sessions with inviting eminent researchers. Finally, Prof. Yao gave a closing remark. On 30th January, as post meetings & seminars, Japan SEE Forum meeting (headed by Prof. Susumu Yoshikawa) and 1st G-COE Energy Seminar on mixed convection phenomena by Prof. J. D. Jackson (Manchester University) were organized. Fig. 5-2. Kick-off symposium photo. As a post seminar of the G-COE kick off symposium, the first G-COE Energy Seminar was held at Clock Tower Centennial Hall, Kyoto University on January 30, 2009. Prof. D. J. Jackson of Manchester University gave one day seminar on fundamentals and state of the arts of mixed convection phenomena. There were 39 attendees: 13 attendee from Kyoto University and 26 from other Universities and Institutions. The seminar was quite successful. The second G-COE Energy Seminar was held on 16th, Feb. 2009 from 14:00, inviting Dr. J. F. Facetti, Professor at Institute of Strategic Studies, Ministry of Defense, and former Minister of Environment, Paraguay. The title of talk was “Energy Security and Strategy in South America facing the Economic Global Crisis”. The South America, especially, Paraguay is far from Japan, thus the information about energy is limited. However, his talk and discussion with students gave us fresh information about the present and future energy situation in this area. 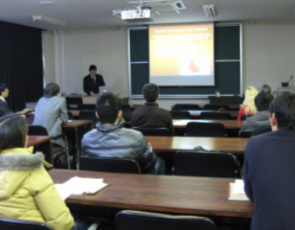 The third G-COE Energy Seminar entitled of “Activity of Dalian University of Technology (DUT) toward Environmental Problems in China” was held on 2nd March 2009 at Kyoto University, co-organized by Symbio Community Forum. There were 3 invited speakers from Dalian; Prof. Xie Quan (Dean, DUT), Prof. Li Aimin (DUT), and Prof. Xiujing Hua (Dalian Environmental Protection Bureau). From Kyoto University, Prof. Susumu Tohno, Prof. Shigeo Fujii (Leader, Global Environment Leader Program), Prof. Yoshihisa Shimizu (G-COE program of Human Security Engineering for Asian Megacities), presented their researches and project activities. This series of lecture meeting has been co-organized annually by Symbio community forum, Atomic Energy Society of Japan, Kansai Branch, Kan Gen Kon since 1999 to conduct a lecture for international trends of energy and environment issues. In this year, (1) Current status of utilization of biomass energy in southeast Asia, (2) comparison of atomic energy conservation. For the lecture of (1), Prof. Tetsuo Tezuka from GCOE program introduced the current status of biomass utilization in Thailand, based on international cooperative research for promoting biomass power plant within 21 COE program on “Establish on Sustainable Energy System”. On the other hand, Mr. Eiji Hiraoka committee of Atomic Energy Security and Mr. Takashi Dodo from Japan Nuclear Technology Institute, presented a utilization of risk information as well as Japanese government attitudes toward Nuclear Energy security. We have issues of the GCOE Newsletter written in Japanese and English, and upload them on the GCOE website. Two newsletters (No. 1 and No. 2) have been issued in FY2008. We have been promoting our GCOE program to public while issuing a GCOE pamphlet as well as updating GCOE homepage, where the latest activities of research and education are updated in Japanese and English. We are also paying attention to the individual privacy as well as human right during the public information. A staff has been appointed as a web manager who has updated the latest information of GCOE programs, such as an upcoming symposium/seminar, announcement of educational program by GCOE Unit for Energy Science Education, Image share of Zero CO2 emission Scenario by Research and Planning Zero CO2 Emission Scenarios group, and Research plan by Advanced Research Clusters (energy socio-economics research, solar energy, biomass energy and advanced nuclear energy groups). 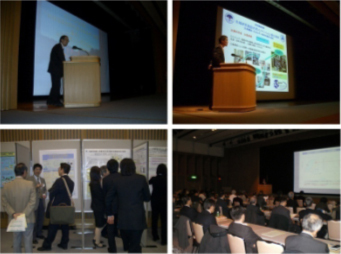 The industry-university cooperation symposium was held at Kyoto Terrsa (Kyoto Citizen’s Amenity Plaza) on December 19. About 130 people have participated in our symposium from company mainly in manufacturing industry, research organization and universities. The Program was composed of two parts: lectures by invited speakers and seeds presentations by members of departments moving ahead with our G-COE program. The invited speakers were Professor Hiroshi Matsumoto, President of Kyoto University and Mr. Hiroshi Morimoto, Executive Vice President and Director of Kansai Electric Power Co. Inc. In seeds presentation session, 18 presentations of findings from research were delivered first by oral and then at poster booths. Many booths were filled with people having interest in the topics and lively discussion and information exchange were conducted there. The ASEAN COST (Committee on Science and Technology) + 3 (Japan, China, Korea) accelerates the beneficial science and technology department for ASEAN + 3 countries. It is a framework launched for the purpose of possible future cooperation in the field with respect of mutual benefit, and is held as an assembly at the undersecretary level, and the Ministry of Education, Culture, Sports, Science and Technology is the assembly's information desk for our country. Following the 1st assembly (Kuantan, Malaysia in August 2006), and the 2nd assembly (Tokyo, Japan in Ocotber 2007), the 3rd assembly was held in Kuching, Malaysia on November 5, 2008. Due to the request from the Ministry of Education, Culture, Sports, Science and Technology, from GCOE, Professor Keiichi Ishihara and GCOE Assistant Professor Taro Sonobe attended the meeting, and representing the Japanese Government. Professor Ishihara reported the proposal for establishing the University Consortium (New Energy Consortium for Sustainable Environment: NECSE) as the result of the ASEAN COST+3: New Energy Forum for Sustainable Energy (NEFSE), co-organized by the Ministry of Education, Culture, Sports, Science and Technology, Japan Society for the Promotion of Science and Kyoto University. Others, participants from Japan are as follows. (Toichi Sakata, Deputy Minister, Minister of Education, Culture, Sports, Science and Technology; Shinichi Akaike, Director of International Exchange Promotion, Science and Technology Policy Bureau; Takeshi Mori, Researcher for International Exchange Promotion, Science and Technology Policy Bureau; Atsushi Hibino, Article Clerk for International Exchange Promotion, Science and Technology Policy Bureau; Yuuji Kato, Researcher, Japan Science and Technology Agency International Department). In addition, Malaya University, Malaysia and Singapore National University, who are SEE Forum member universities were visited and discussion toward establishing NECSE was conducted. Cooperative agreement from both parties in establishing the NECSE was obtained. Kyoto University Emeritus Professor Hidekazu Yoshikawa and GCOE Assistant Professor Taro Sonobe visited Dalian University of Technology, China on December 1, 2008. There, they met with Professor Xie at the University and the Deputy Director Hua of Dalian Environmental Conservation Bureau, and collected information regarding the content of the proposal related to establishing a cooperation center at the Dalian University of Technology. This cooperation center was broached by Professor Xie when the Chairman of the Sym-bio Social Research Committee, (Kyoto University Professor Emeritus) Hidekazu Yoshikawa visited Dalian University of Technology in October 2008. On the matter of the cooperation center establishment, when Professor Xie visited Kyoto University in March 2009, the intention was to iron out the details, but since the information concerning this cooperation center establishment proposal was too little and the purpose was unclear, and cannot be decided by March next year, this visit was conducted upon the request by the GCOE Steering Committee as a preliminary survey. Professor Xie understood that it will be centered on "For Kyoto University, it is entering the agreement of wide-range technical cooperation of energy and environmental issue between Kyoto University and Dalian University of Technology (training and research cooperation of students, researchers), and then, to establish a cooperation center as a platform of international industry - academic collaboration for both universities, channeled through this", after summarizing the information such as "the name of the school, main lecturers, and the list of specialized field involved with Dalian University of Technology, hope related to mutual relation of academic cooperation and the image of the cooperation center to be established at Dalian University of Technology", the information was promised to be submitted, and upon receiving it, the meeting between this G-COE program and Kyoto University Headquarters (Industry, government and academic collaboration headquarters) was set in early March. The booth for introducing G-COE activities was established at the University Education Innovation Conjunction Forum and Poster Session on January 13, 2009, valuable ideas was exchanged with research agencies concerned and related government agencies, and information gathering was conducted that contributes to the improving the quality of this G-COE business, along with collecting information related to other G-COE programs and university activities. G-COE Assistant Professor Taro Sonobe attended on behalf of this GCOE program. 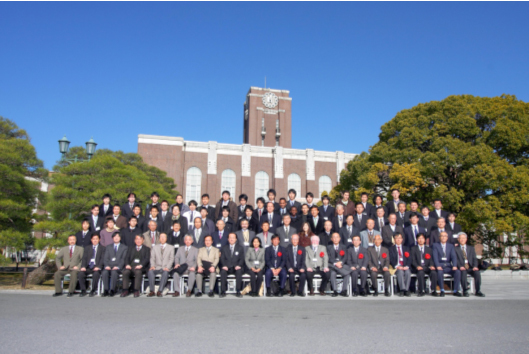 On January 30, 2009 (Friday), a meeting was held for Japan SEE Forum Inaugural preparation with Professor Susumu Yoshikawa of the Institute of Advanced Energy as the Chairman, at 2nd Floor, Kyoto University Clock Tower Centennial Hall. The 4th SEE Forum was held in New Delhi, and the "New Delhi Initiative" was adopted, but the initiative strongly demanded the establishment of SEE Forum in each country, and Japan's multi-dimensional contribution. Japan is the SEE Forum core institution and requires an organization for the purpose of promoting dynamic cooperation at home and abroad. 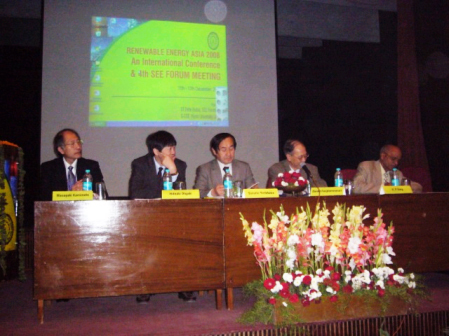 Until today, activities have been progressing as "New Energy Forum", centering on universities in charge of 21 COEs related to new energy, but this time, in light of the necessity of an organization for the purpose of promoting dynamic cooperation at home and abroad from the "New Delhi Initiative", these were re-organized into Japan SEE Forum. As the result of this meeting, the Japan SEE Forum Secretariat was established in the GCOE, and was required to host a promotion meeting prior to the 5th SEE Forum on May 18, 2009. To accelerate the effects of G-COE outcome in the Asian region and the joint research implementation, it is necessary to use the science and technology cooperation program utilizing ODA. Therefore, between March 22 to March 28, 2009, GCOE Assistant Professor Taro Sonobe and Nuki Agya Utama GCOE research fellow visited Bangkok, Thailand and Jakarta, Indonesia, to discuss with SEE Forum participating members and local JICA who manages the current ODA program, and investigated the possibility of joint research implementation and human resources exchange program. Additionally, they also requested cooperation for the 5th SEE Forum launching in May. Furthermore, to facilitate the University Consortium (NECSE) establishment preparation, they visited Mr. Piniti, previous Executive Director of ASEAN University Network (AUN) (current post: Deputy Secretary General Thailand Commission of Higher Education), and fine tuning the future preparation policy. In addition, they visited JGSEE, University Indonesia who is a SEE Forum participating university, and collected energy supply and demand data in South-East Asia, and at the same time, discussed the researchers of the related research organization and the future data sharing. Along with being a guest speaker at the Cairo 11th International Conference on Energy and Environment & 8th World Conference on Solar Electricity held at Hurghada, Arab Republic of Egypt, we also surveyed the current state of energy research. As for the problems of the area concerned, we understood that together with securing the energy source, there is a high demand for the development of environmental clean-up technology for pollution problems and for ensuring safe and secure resources. Those who were present were mainly from Egypt, but there were also energy researchers from Ethiopia, and we felt the possibility of an international network foothold. Next, we visited the recently established energy laboratory at CUNY, US. Professor Banerjee, the laboratory chief was not present due to sudden business trip, but Professor Kawaji explained the activity summary of the said laboratory. The laboratory's main topics were nuclear safety research and next generation storage battery development research. We discussed about the possibility of a collaboration activity with the GCOE, and both sides will study about the academic exchange cooperative agreement with Kyoto University. Finally, we visited the UCLA nuclear fusion research group. There, we surveyed the current state of the US nuclear fusion reactor liquid blanket research and discussed about the possibility of collaboration activity, and will be proceeding with joint research together with student dispatch.